This Marc by Marc Jacobs MBM2553 watch is ideal for those who have style or are after that little something extra. 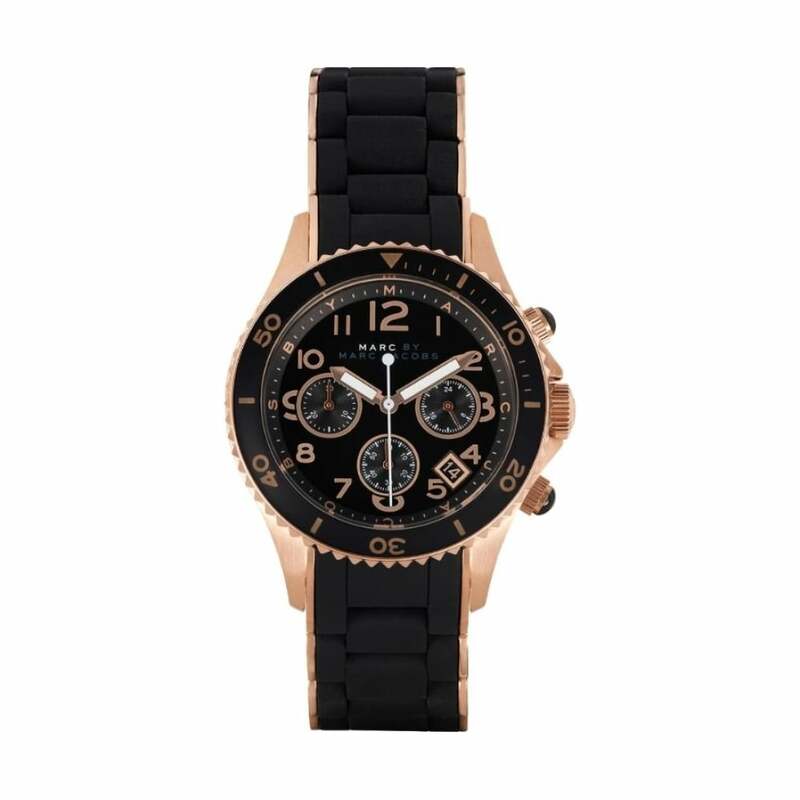 Coming with a trendy black silicone and rose gold tone steel bracelet fastened to a 2 tone steel case, the watch is a remarkable piece of fashion with added rose gold detailing adding extra quality. It has a black dial with chronograph features and a useful date display. Presented in a signature Marc By Marc Jacobs watch gift box.